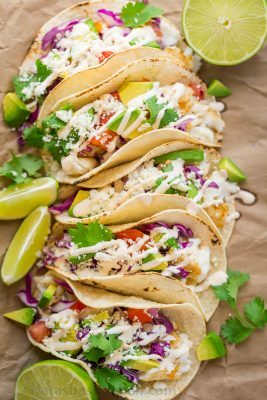 Our all-time favorite fish tacos recipe! These are loaded with fresh ingredients and perfectly seasoned plump fish. Don't skip the best fish taco sauce - an irresistible garlic lime crema.